We've all got that typical friend that's always asking weird yet interesting questions such as who'd win a fight between a polar bear and a python? 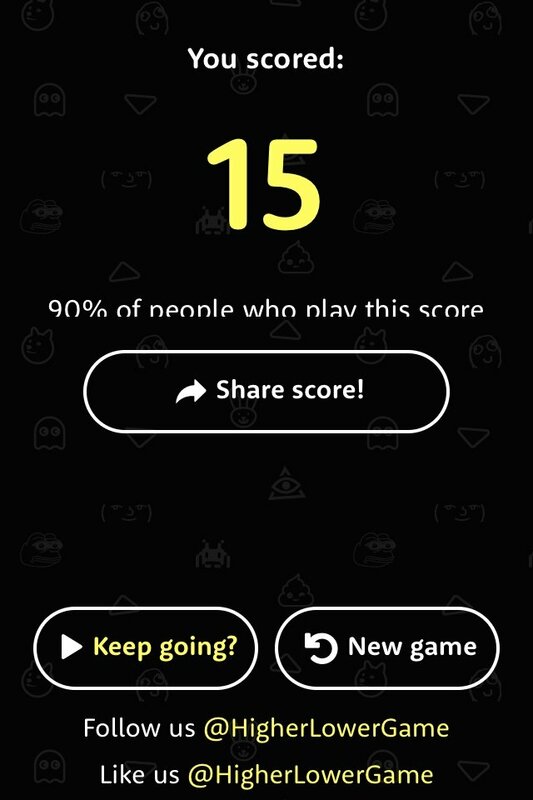 Well, this game is definitely for that kind of person. We're talking about The Higher Lower Game developed by Code Computerlove for iPhone, iPad, and iPod touch which is all about guessing more or less. There are some really simple games out there that manage to captivate us. And if those games can be used as drinking games, even more. As if we needed an excuse to drink a shot or two... Well, that's only one of the reasons to play this game. Refugee crisis vs Donald Trump. 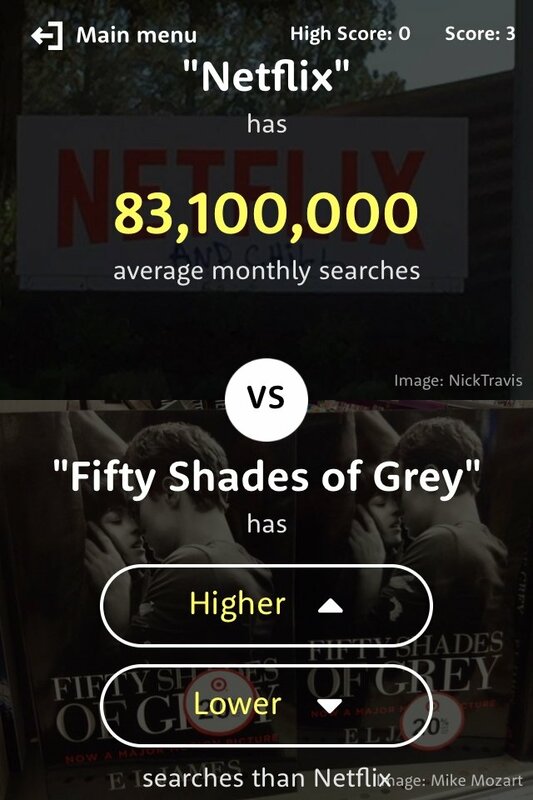 Starbucks vs Kim Kardashian. 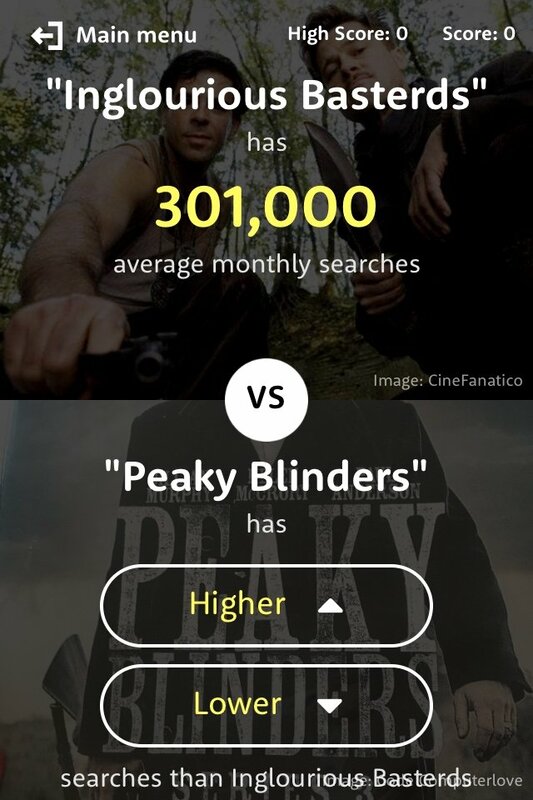 Which gets searched more? But what's this all about? Once you open the game, you'll be offered two topics. For instance, climate change or Ariana Grande. 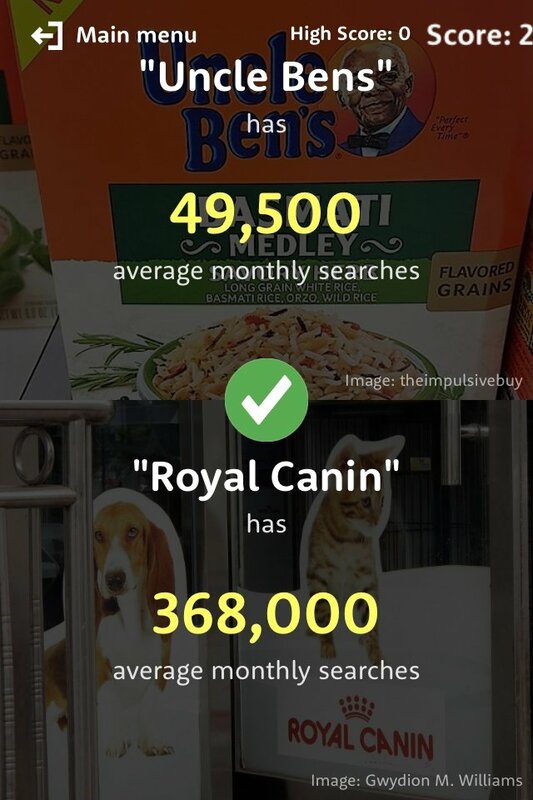 You may have a notion about which of the two concepts is the most popular but here your mission is to guess which one of the two has the most monthly searches on Google. Sounds simple, doesn't it? 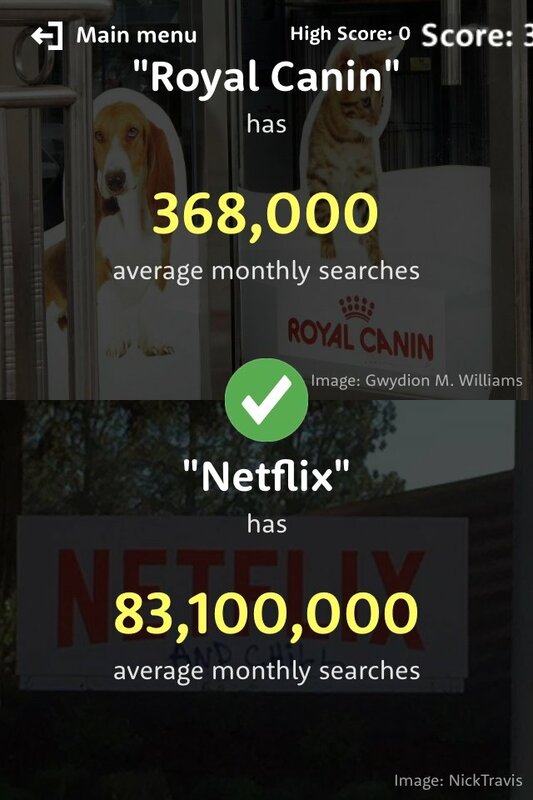 Yes, but it's not so easy to get the right answer. Bring out all your intuition to break your own record. The perfect entertainment to waste your time or use as a drinking game. 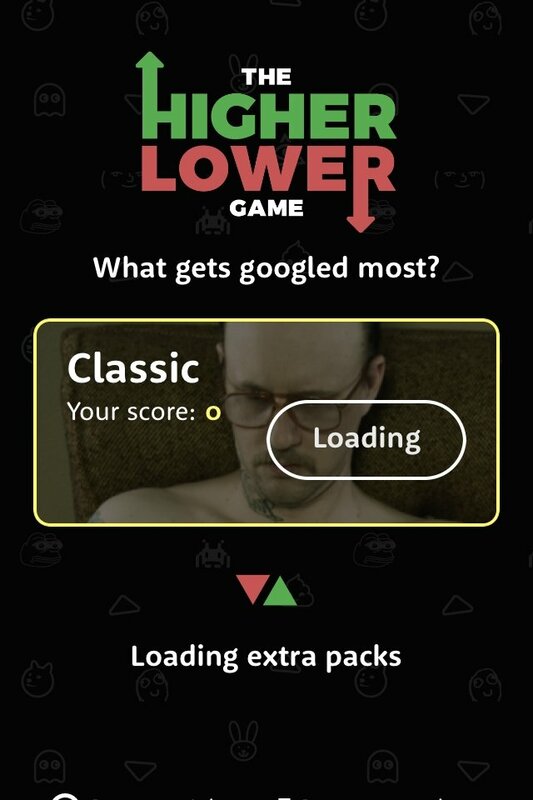 In The Higher Lower Game, you'll start off in the classic mode but you'll be able to access other packs such as celebrities, games or questions people ask over the Internet. 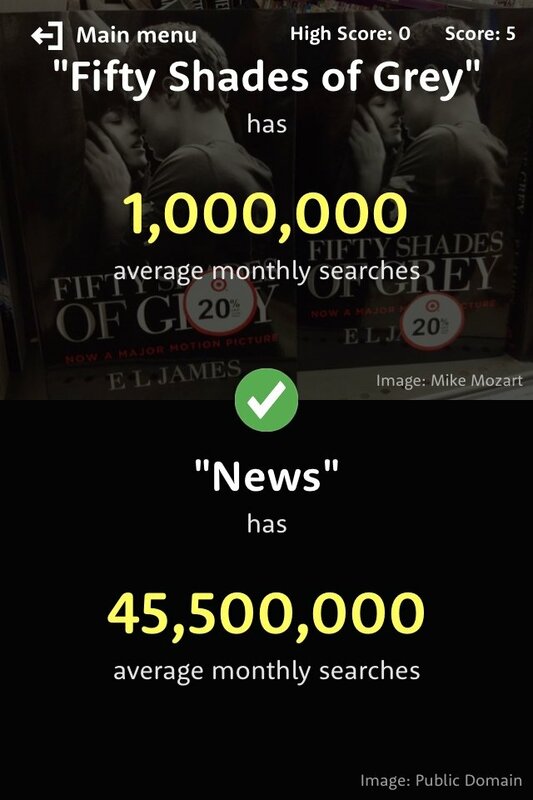 What do you think Google's users ask the most between 'How to kiss a girl' and 'How to know if I'm gay'? People hidden behind virtual anonymity never disappoint you.